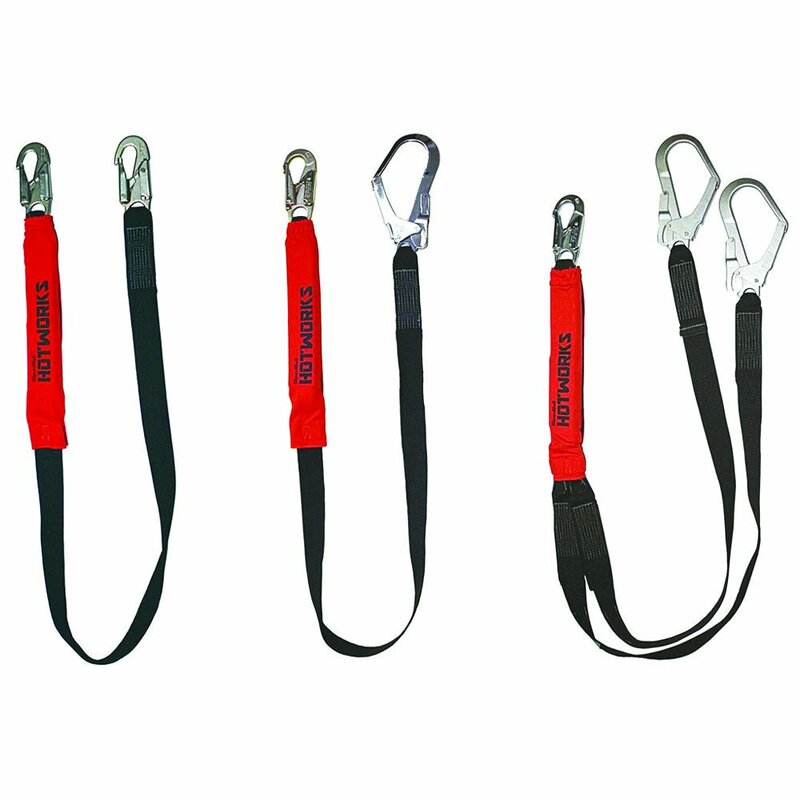 Heat resistant fall arrest lanyards are designed to protect workers in heat affected environments such as welding and grinding. Utilising tough Heracron/Meta Aramid webbing and Indura ultrasoft energy absorber covers, these lanyards outperform and outlast standard polyester lanyards, which would otherwise be condemned due to burns and spatter damage. • Robust and lightweight, offers genuine user acceptance and confidence with corrosion resistance, high quality feel, and smooth function. • The high tensile computerised sew pattern give repeatable uniformity compared to manual sew patterns. The contrasting colour makes inspection easier. • Limits the forces to under 6kN should a fall occur as per Australian/New Zealand standards. • Protect the shock pack from heat damage but still removable for Inspection as per standard lanyards. • The need for an operator to avoid connecting an unused leg of a twin lanyard is critical. To avoid this, each SpanSet twin leg lanyard has clearly marked stowage points for unused lanyard legs. They are also rated in case of misuse. • High tenacity aramid fibre webbing for heat, abrasion and UV resistance.